Vibrating tables are produces in different sizes. Standard version is operated by control panel which is situated separately from the table, or by foot switch (version NS). 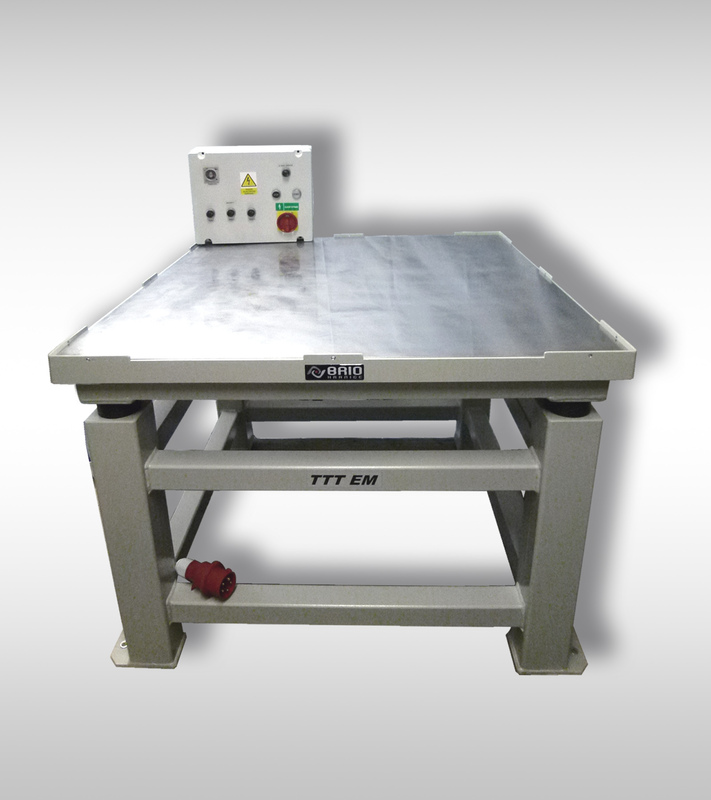 It is also possible deliver table equipped with magnetic clamping for iron moulds for specimens.